Can I put a roof over a rear vent fireplace in Charlotte? One of the challenges we have as licensed General Contractors that build screen porches and covered patios in Charlotte is the dreaded “rear vent fireplace”. If you have a home with a gas fireplace and there is a silver metal vent on the chimney over your deck and patio, chances are this is going to pose some challenges if you want to cover your patio or screen in your deck. Have a contractor build a flue/ chase and extend the vent up through the new roof for proper ventilation. One important caveat to the extension of the vent. Each manufacturer of gas fireplaces has very specific guidelines on how to properly vent their equipment. Make sure you are contracting with a mechanical contractor and outdoor living contractor who have experience with this so you don’t waste your money! To read more, visit our outdoor fireplaces page on our website. What is the best exterior paint for my porch? 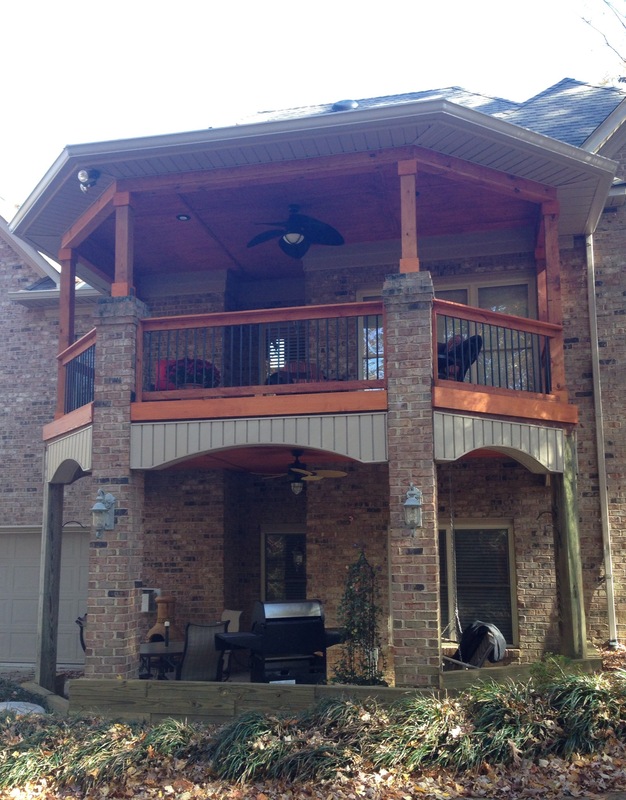 Are you looking to add a screen porch or covered patio? Most likely you will need exterior grade paint for a portion or all of the columns, header, and ceiling! While there are many paints that are exterior grade on the market, we have had the best performance overall with Sherwin Williams various exterior grades from gloss to flat finish. 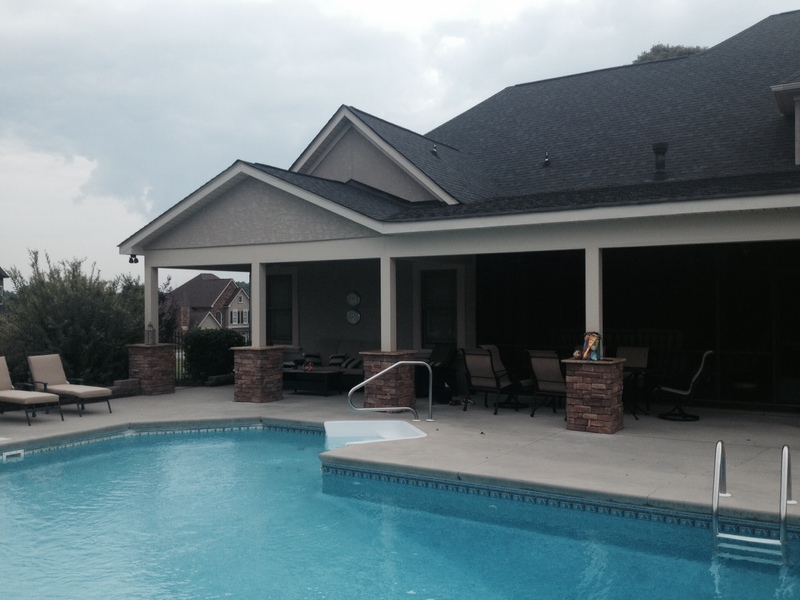 At Archadeck of Charlotte, we design and build over 300 porches a year and paint is the final wrap on our project. It is critical that we have a surface that is both beautiful and protects the investment of our clients. To see hundreds of porch designs with beautiful paint finishes, visit the numerous photo galleries on our website. 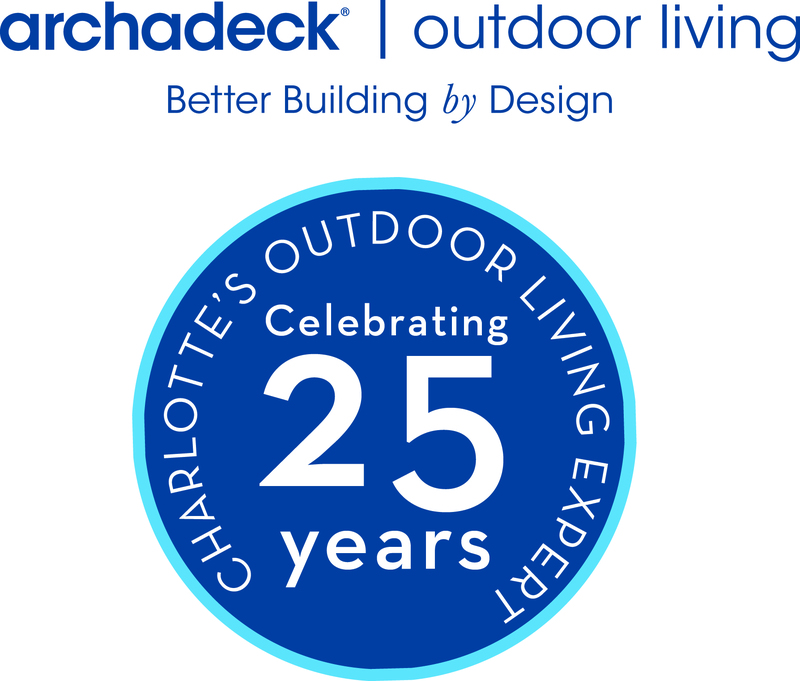 Give us a call for a free consultation at (704) 944 – 1350 or drop us an email at charlotte@archadeck.net to set up a free design consultation. Options for covering your deck or patio? There are plenty of shade options! Is the sun rendering your deck or patio useless? At Archadeck of Charlotte, we often hear this and people want to know all of their options for shade? When you live is sunny states, shade becomes a necessity for protecting your skin and just plain comfort. 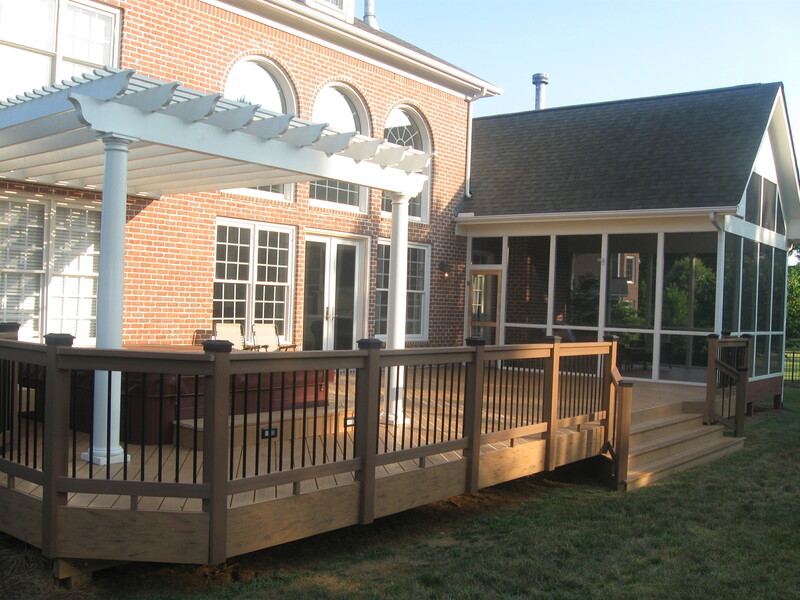 Whether you have a deck or a patio, the same options are viable. Retractable awnings are a popular choice, particularly in Sun City Lakes where we install remote controlled Craftbilt Awnings with Sunbrella fabric in a wide variety of colors and even wind sensors! Designing various roof lines that compliments a homes architecture is very popular in terms of a shade option. Whether its a gable, hip, or shed roof, they all provide the maximum amount of shade but the roofs are the most expensive cover option. In addition to the roof, of course screening in the posts supporting the roof can add additional shade as well.